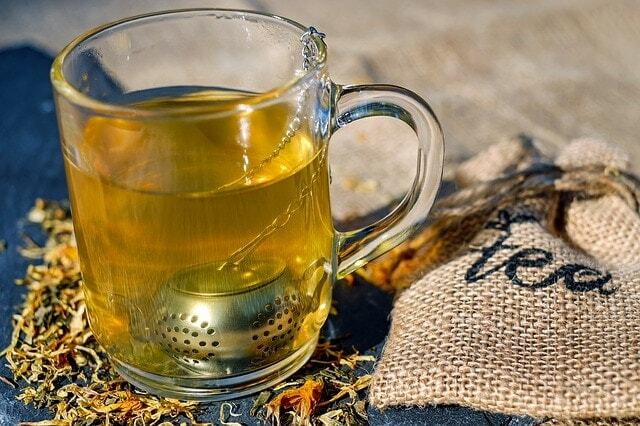 Tea is the second most popular drink in the world, the first is water, and while here in the United States we haven’t embraced many of the rituals surrounding tea, our consumption of the drink is growing in leaps and bound. The idea of tea being for blue haired little old ladies, full of pretentious traditions, and offering tiny tasteless sandwiches, does a disservice to the many hotels and restaurants who offer fine fare to accompany their loose leaf selections. A few basic tips will help you enjoy your tea, and prevent any etiquette faux pas. Pour the tea first, then add milk. When stirring the tea, be sure not to clink the spoon against the side of the cup. That whole extended pinky thing — uh, no, just no. Lemon should be served in slices, not wedges. Don’t add milk to lemon tea, it will curdle. Ick. In celebration of National Hot Tea Month, here are 8 places where you can enjoy and learn about hot tea. Afternoon Tea at Millennium Biltmore Hotel, L.A. 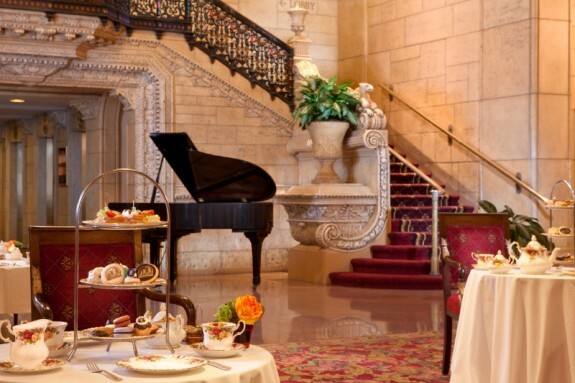 The Millennium Biltmore offers the only traditional Afternoon Tea of its kind in downtown Los Angeles. Served on regularly on weekends, and on special holidays and occasions, this Victoria tea features a selection of tea sandwiches and desserts. 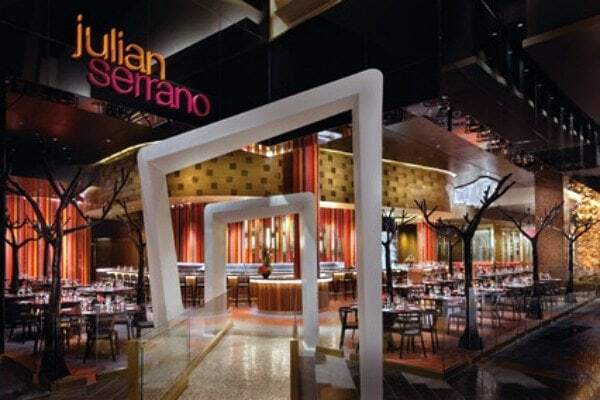 Menu items include delicious choices like a baby pretzel turkey sandwich with mustard seed cheese, whole grain mustard and micro greens, French macarons, and seasonal housemade scones. Tea selections include the traditional choices of Irish Breakfast and Earl Grey, along with more specialized choices such as Bleu Peacock Oolong and Rainforest Mate, and more. With over 150 teas lined up in apothecary test tubes, Remedy Teas offers a lunch menu in addition to hot and iced tea, loose tea for purchase, and tea smoothies. Try Earl Grey creme, cardomom chai, or pine smoked lapsong. For a pampering tea, choose a trio service – a casual high tea that is served all day. Prseented in a tiered serving platter, it includes a tea sandwich, pot of tea, chocolate truffles, cookies, fruit, and baked goods. A kids tea service is also offered. 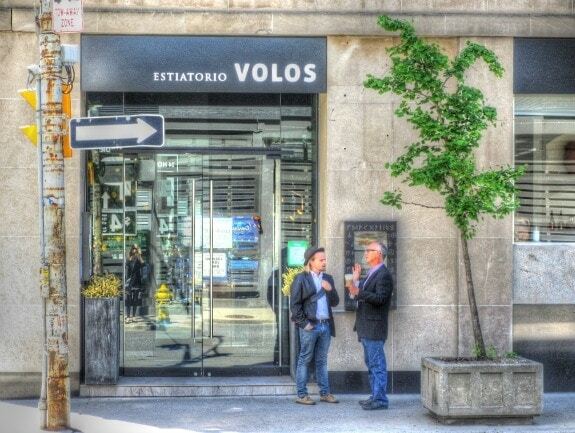 If you like a more informal tea, yet still have tasty options, this one may be for you. Inspired by the shaded area of a sun-drenched desert, 3940 is a comfortable retreat situated just off the loby of the Delano Las Vegas. Guests can indulge in the beauty and simplicity of organic loose-leaf teas harvested at the peak of perfection, delivering the kind of peace that can only be found in a teacup. A traditional tea service is by a cart each afternoon and features freshly baked petite pastries and finger sandwiches to accompany the finest selection of loose-leaf tea. The tea offerings include Organic Long Life Green, Organic Breakfast, Organic Chamomile Blossoms, and Organic Vanilla Rooibos. If you’re looking for a relaxed, down home tea experience, Tea Bayou offers over 50 tea choices to brew up at their tea bar or to purchase loose leaves to enjoy at home. You can choose a selection from the bakery to accompany your tea, or opt for heartier New Orleans-inspired southern fare. Tea selections include an organic Lapsang Souchong, Southern Peach, White Peony, and lots more, including a few craft blands. Consider a beignet, tea square or praline to go with it. Visiting a tea plantation gives you the opportunity to take a look at the various stges of tea production, from picking (a mechanical procedure that occurs between April and September) to packing (done by a group of local women who sit at a table and shovel piles of tea leaves into packets). In between are the sages of wilting, fermentation, and drying. The Gorreana factory productes three variety of black tea: pekoe, orange peko, and broken leaf. After a tour of the factory and tea process, enjoy a cup of tea in the factory canteen. Nothing fancy here, just a look at the farm to table tea experience. After a tour of the factory and tea process, enjoy a cup of tea in the factory canteen. 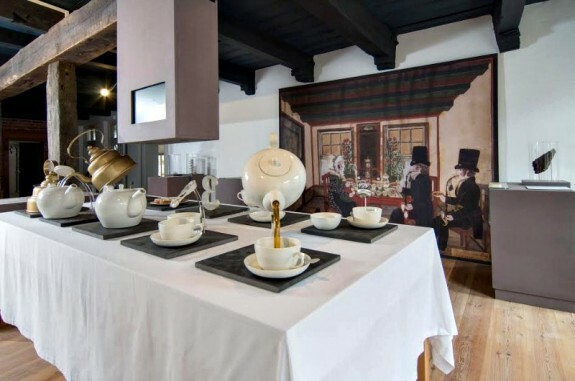 This tea museum in Friesland, in northern Germany, offers not only a look at the history of tea, but also a tea ceremony that explains their unique way of drinking tea. First, the rock sugar is placed on the bottom of the mug, then tea is added, and finaly the milk or cream is carefull added with a spoon so it stays as a cloud in the upper part of the mug. 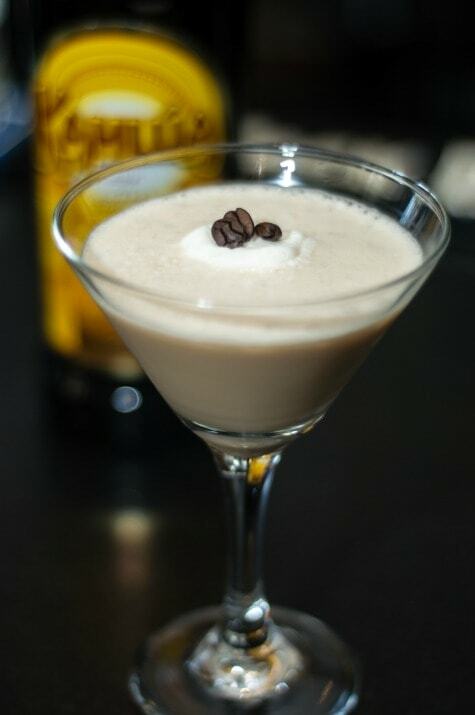 Much like a layered cocktail, it is not stirred or mixed together, meaning each layer offers a different taste: mild and cream to start, bitter in the middle, and a sweet and sugary finish. The Norfolk, in Nairobi, Kenya, has developed a passionate affair with tea dating back to the early 1900s. When the hotel was first opened, High Tea parties were a regular occurence, with guests sitting on the terrace enjoying their tea and watching the game hunters, merchants, and explorers. Frequented by personalities including Karen Blixen, Winston Churchill and Lord Delamere, these prestigious high teas set the standard for others to folow. The romance has been kept alive with the current High Tea menu which features a selection of signature cakes, finger sandwiches, crumpets and macaroons, along with savory snacks. The Palm Court is famed as the place where the tradition of afternoontea was born over 140 year ago. 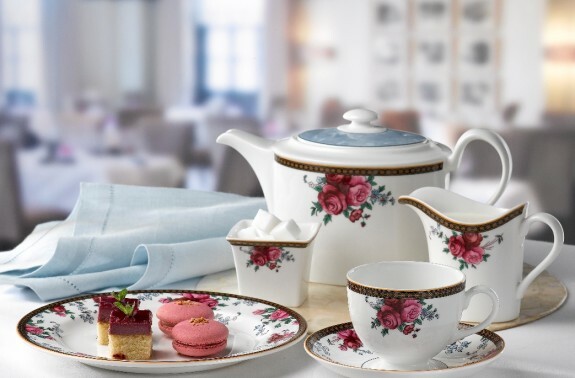 Today, in a bespoke version of this afternoon tradition, The Langham has partnered with Wedgwood (the china company) to present their tea in tailor-made Langham Rose Wedgwood teaware. Carefully chosen Wedgwood Tea blends and exclusive Langham blends which include, Palm Court Exotic Blend, Silk Road Blend, English Flower Blend and The Langham Blend, are on offer. Some of the teas are so rare they are kept in The Langham Tea Vaults under lock and key. The Langham Tea Sommeliers are trained and certified by the Wedgwood tea academy. Langham’s Tea Sommeliers can be recognized by the Wedgwood ceramic badge and/or cufflinks. And finally, for those who can’t travel for their tea experiences, the Miraval Resort in Tucson, Arizona, shares this recipe for their Miraval Ginger Tea. You’ll find it, and other healthy recipes in their cookbook, Mindful Eating, written by Executive Chef Justin Macy. 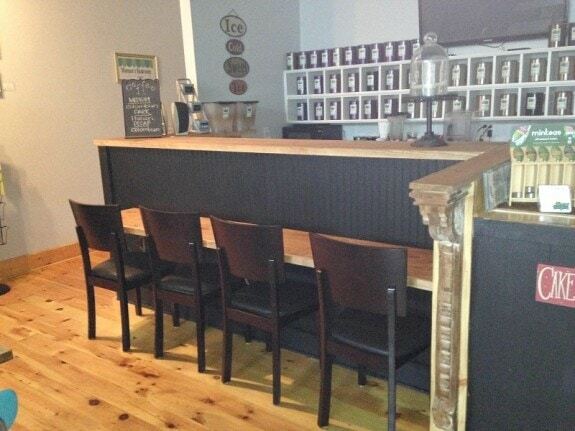 Do you have a favorite place to enjoy hot tea? Please tell us about it. Photo credits: All used with permission.